Here's a suspense-filled romantic thriller that features a plot to destroy a critical U.S. target. 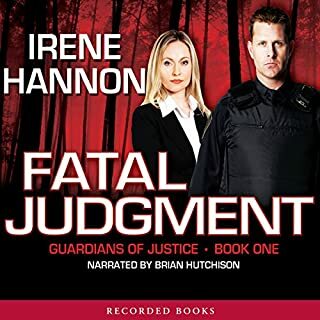 To find the fugitive who can stop this attack, an undercover agent shadows a search-and-rescue specialist and her dog combing Minnesota's North Woods. But foul fiends are also on the hunt. I had listened to a lot of Christian suspense/romance and I must say, this was probably one of the worst stories. Everything about this story was silly. I don't know which one was worse- the plot or the characters. For these reasons, I cannot recommend this book. There are much better books out there. 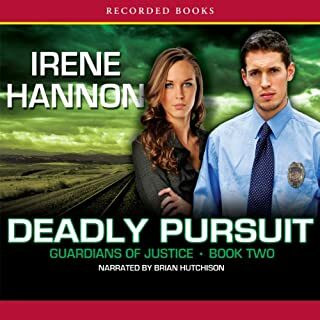 RITA Award winner Irene Hannon has also won the Holt Medallion and the Daphne du Maurier Award for her romantic suspense. U.S. Marshal Jake Taylor loathes guarding federal judge Liz Michaels. How can he protect the coldhearted workaholic who drove herlate husband, Jake’s best friend, to suicide? But as he gets to know Liz better, his heart—and her life—are soon in danger. It is a good thing this is not my first encounter with Irene Hannon's books. If it were, it would of probably been my last. This is not one of Irene's best books. The story was so-so and the narration was the worst I have heard in a while. I started with book three in this series, which was much better, and decided to try the first in this series. This story was so dry, I am not sure if I want to give book two a try. 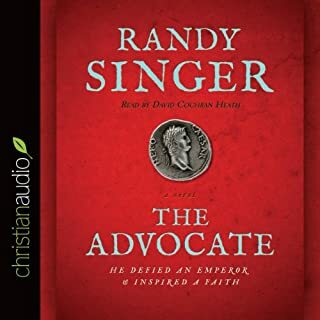 At the trial of Christ, Theophilus, brilliant young assessore raised in the Roman aristocracy, stands behind Pontius Pilate and whispers, "Offer to release Barabbas." The strategy backfires, and Theophilus never forgets the sight of an innocent man unjustly suffering the worst of all possible deaths - Roman crucifixion. Three decades later, Theophilus has proven himself in the legal ranks of the Roman Empire. He has survived the insane rule of Caligula and has weathered the cruel tyrant’s quest to control the woman he loves. Underperforming executives are sending a bad message to the whole organization. This book is not about accountability!!!! 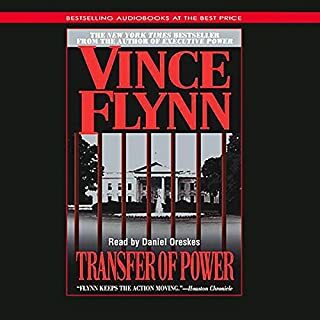 This audio book has nothing to do with accountability - AT ALL!!!! It is all about family owned businesses and how it is better able to survive economic challenges as opposed to traditional businesses. 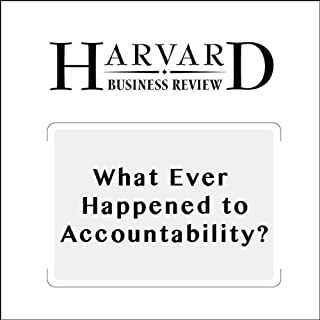 In fact the word accountability is not mentioned at all in this audio book. So if you are looking for a book on accountability this is not it. The title and content is totally misleading!!! I was robbed! Dr. Matt Newman thought he was leaving his life as a surgeon in private practice for a better one in academic medicine. But the kidnappers who attacked him as he left the hospital at 2 a.m. have no such plans - they just want him dead. Bound and in the trunk of his car, Matt’s only thought is fleeing with his life. He does escape, but at a price: a head injury that lands him in the ICU...where he awakens to discover he’s being charged with murder. Sandra Murray is a fiery, redheaded lawyer who swore she was done with doctors after her last relationship. As a Christian it is hard to find action packed Christian adventure stories. This book delivers. It is a great book with a great message with a lot of adventure. I eagerly await his next book. This is hands down one of Vince Flynn's best novels yet! It is a great comeback from the last Mitch Rapp book Kill Shot, which in my opinion was a bit of a disappointment. Mitch and Hurley live up to their reputation making this a great listen. I simply could not stop listening. 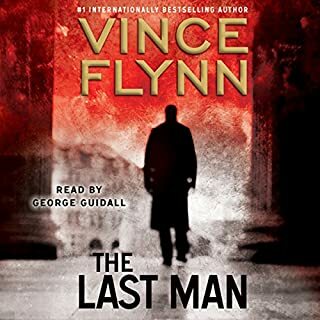 So if you like the MItch Rapp series or if you are looking for a great listen with a lost of action from start to finish then this is the book for you. Warning, those adverse to a lot of violence may find this book offensive. Everyone else, you can't go wrong with this choice. I have read all of Dee Henderson's books and for the most part, they are all wonderful. Dee hasn't written any books in a while so when this book came out, I immediately purchased it. I really wanted this to be a good book but instead of a good story, what I got was a great disappointment. One, Dee spent a great deal of time talking about her other books which I found to be very tacky and boring. In fact, it was so bad I wanted to fast forward through these parts which would of meant that I would of had to fast forward through a lot of the book. Two, there were way too many stories going on at one time. The first hour or two was great then for the next 9-10 hours it was torture. The final hour was good. In my opinion, the main characters voice was horrible. At times it was simply unbearable. I guess I expected more from Dee after the O'Malley series. I'm sorry Dee, but I simply cannot recommend this book to others. If you are looking for suspense, romance, and a bit of action, this book had it all. Overall it was a really good book. I found it hard to put the book down. Well worth the credit and in my opinion this is the best book from Irene Hannon yet. I have to agree with the majority of the other reviews, this book is severely weakened due to the fact that it is abridged. In my opinion, this book could of been edited better. There was just way too many crucial facts left out. The reader gets the basics of what the book is about but that is all; there are none of the intimate details that normally go into making a book a best seller. In addition, I believe that the story is too choppy. If the hardcopy was written just like this abridged format was, I highly doubt that it would of been a best seller. Overall, the story was good, however based upon the reputation of the author, I know that the book is better. I am unsure as to who decides whether a book should be abridged or unabridged, but I would rather pay the extra cost for the unabridged format. Basically I was left wanting more. 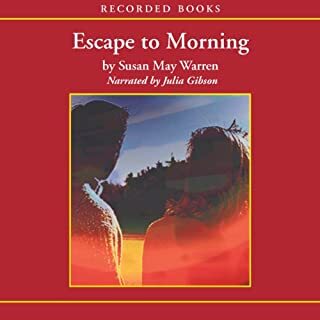 I guess the only way to get complete satisfaction out of this story is simply to read the book, and if that is the case what do I need audible for? Simply put, buy this book if you don't care about details and you are trying to keep up with the Mitch Rapp series and don't have time to read the hardcopy. Sara Walsh is unsure of her own safety. Every day when she leaves her job as a writer, she takes a different route to avoid patterns in her routine that could put her life in jeopardy. Ever since she and her sister were abducted as children, and her sister was murdered, Sara has been forced to live in a paranoid world where a faceless man could be stalking her every move. But this man is no apparition. He¿s real and he¿s obsessed with finding her ¿ and killing her. 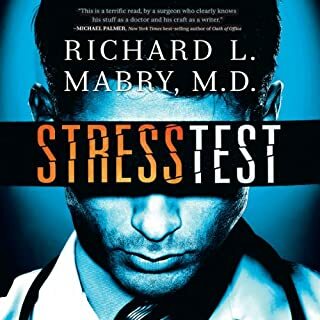 I understand that there were some negative reviews about this book, and it took me a while to purchase it because of those them, however I really enjoyed this book. 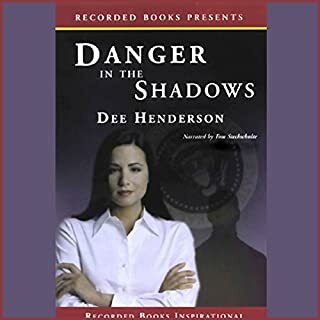 In fact I believe that Danger in the Shadows is one of Dee Henderson's best works. I started with The Negotiator and I found it very interesting to get more background on Dave and family prior to Kate. This is a well written book with a believable story line. If you like Dee Henderson then you will not be disappointed with this book.